Special ones get flown to Germany to pick up their cars. 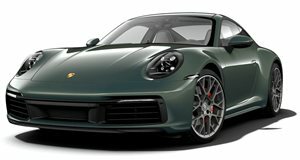 Porsche always manages to make pure enthusiasts smile with its limited edition models like the 997 Speedster and the 911 50th Anniversary Edition. Earlier this year Porsche did it again with the 911 Carrera GTS Club Coupe. Limited to just 60 units, it was made to celebrate 60 years of the Porsche Club of America. Only 60 were made and the "limited edition" tag ran an extra $20,000. That money bought a ducktail spoiler, Sport Classic wheels and a beautiful Club Blau paint job. Watch the video to see the new owners take delivery of their special 911s. Be jealous you're not them.